Updated 9/16/2018 Episode 39 (Chaotic War at Cephiro Castle), cut 157. While the battle between the Knights and the forces led by Eagle Vision rage outside, suddenly a rash of monsters begin to disrupt the corridors of Cephiro Castle itself. Lantis, hearing trouble, confronts and disposes of one, then pauses, stunned by the implications of this new problem. This stern-looking portrait is the genga from a broken set, accompanied only by the layout (first thumb). It clearly provoked a genga shuusei, as you can spot a number of changes in the shadow lines by comparing it with the screen cap. Still, it’s a fine piece of work, and as it lingers on the screen for six seconds (according to the layout), accompanied by a slow zoom in, it needed to be a strong piece of work. The animation director for Ep. 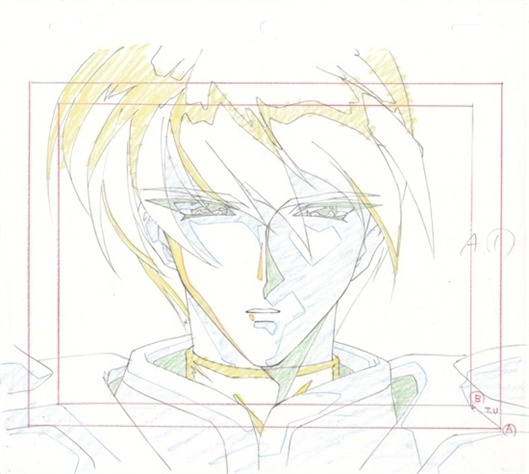 39 was Satoshi Ishino [石野 聡]; his first such assignment in his career, though he had previously worked as a key animator on both seasons of MKR. 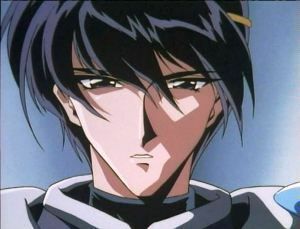 He later supervised two more episodes of MKR (42 and 47), and gained the reputation of a fast-rising artist with his work on the BONES projects Scrapped Princess and Fullmetal Alchemist. He was also active in the Mobile Suit Gundam franchise, contributing to AGE (2011-12, gengas, episode animation direction) and Iron-Blooded Orphans (gengas, 2015-17). Ishino has since moved up to the role of senior animation director and/or character designer for several more recent series, including Heaven's Lost Property Forte (2010), No. 6 (2011), Classroom Crisis (2015), and Release the Spyce (2018). 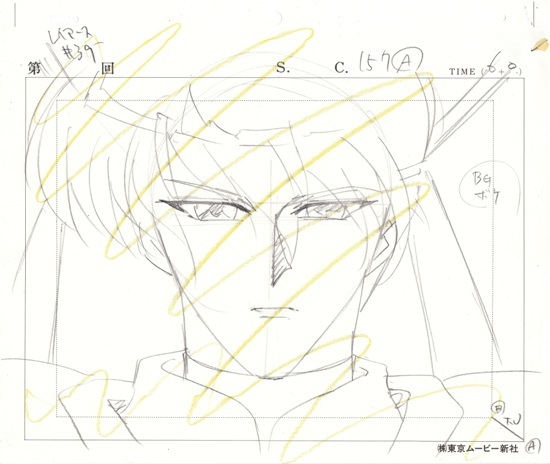 In addition, he has provided key animation for Cardcaptor Sakura: Clear Card.